Successfully Added 16 Channel Professional Embedded Digital Video Recorder - NTSC + to your Shopping Cart. 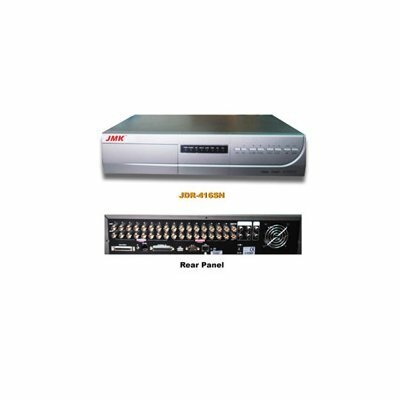 16 Channel MPEG-4 Professional Grade Realtime Digital Video Recorder featuring support for both PAL and NTSC. It includes features such as MPEG-4 compression format, superior real time performance with 480 IPS (NTSC) / 400 IPS (PAL), longer recording time via independent disk array, USB backup function, remote surveillance via Mobile phone & PDA, advance motion trigger recording, and multiplex functions.